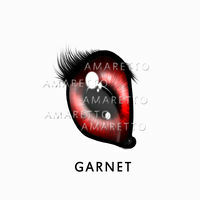 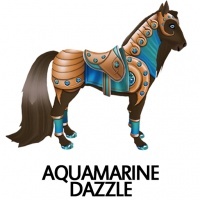 On September 1, 2015 Amaretto released the Dazzle horses! They do not have to be the same Dazzle Eyes to breed for you chance at a dazzle horse. 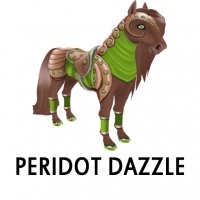 The Dazzle horses that can be birthed will not have the particles like the ones given away at the Amaretto 5th Birthday Sock-Hop, those Dazzle horses were One of a Kind! 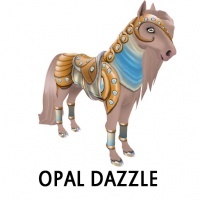 The coats and eyes on the Dazzle Horses that will be born will look just like the One of a Kind horses just without the particles. 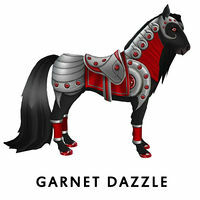 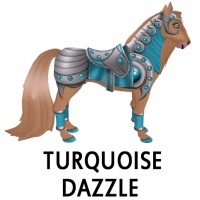 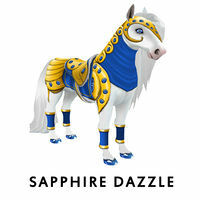 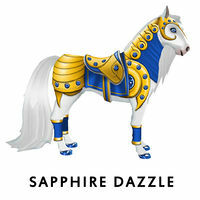 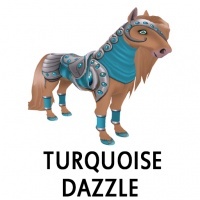 The Dazzle Horses are not Limited Edition Horses. 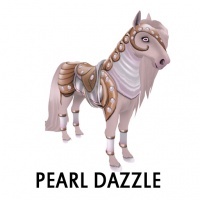 They are best compared to the Albinos, you just need to breed 2 Dazzle eyes together for the Dazzle Horses and you need to breed 2 Full Siblings together for the Albinos. 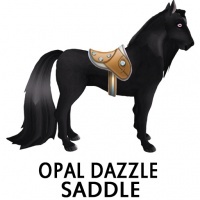 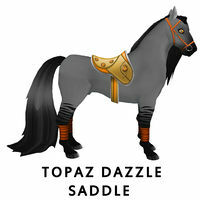 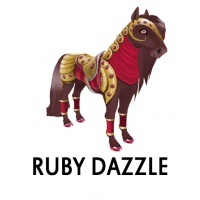 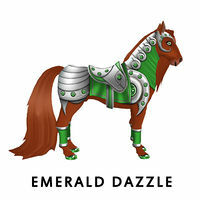 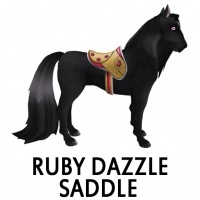 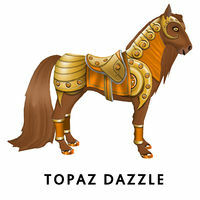 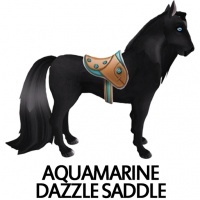 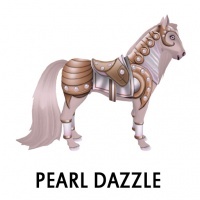 The Saddles that come with each amazing Dazzle coat are specific to their coat and they do have the ability to pass. 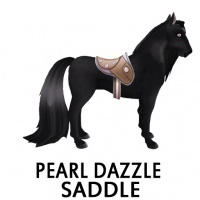 That’s right you heard it correct these beautiful new Saddles DO have the ability to pass!! 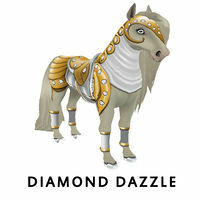 Dazzle Horses can NOT pass their coat. However breeding a Dazzle Horse with another Dazzle Horse or with any other horse with Dazzle Eyes you will slightly increase your chance for another Dazzle Horse. 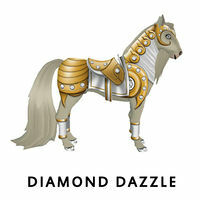 Good luck to everyone in breeding for the new edition to the Amaretto Horses …the Dazzle Horses! 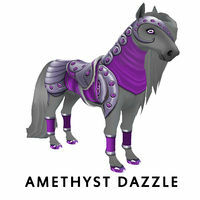 The Dazzle coat you receive will be chosen at random. 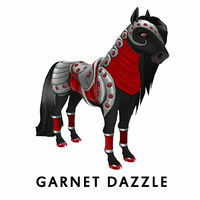 The Dazzle Eye that is on your specific Dazzle horse coat DOES have the ability to pass. 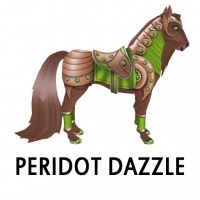 The Dazzle Horse DOES NOT have the ability to pass its coat! 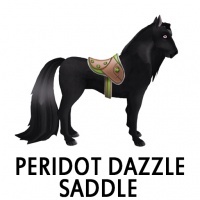 The Dazzle Saddle DOES have the ability to pass. 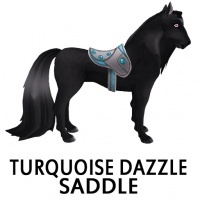 This page was last edited on 27 November 2016, at 22:06.